It's no secret around here I love the color blue and have been daydreaming of a blue sofa in my new family room (I have just about convinced Mr. Vog that yes blue is a neutral!). Yesterday when I was scouting for a client over at Crate and Barrel Furniture they were literally rolling out their fall line and everything was in varying shades of blue! From Indigo to Navy to Porcelain walk into a store and you will see this blue trend! 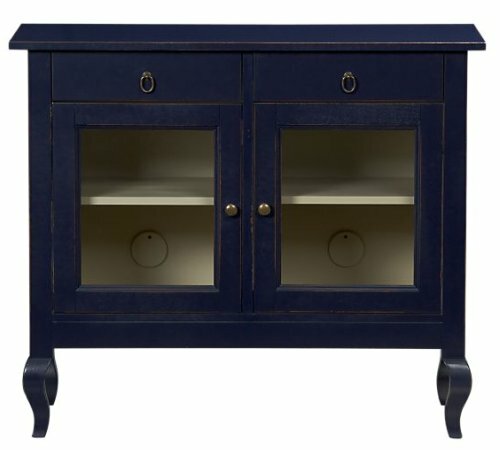 The Calais Cabinet in it's vivid blue can be used in many different areas, including as a TV stand! 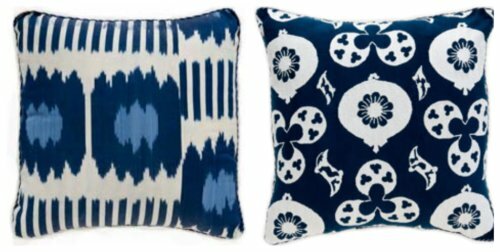 I can always count on Madeline Weinrib to have the most fun patterns and these pillows don't disappoint! 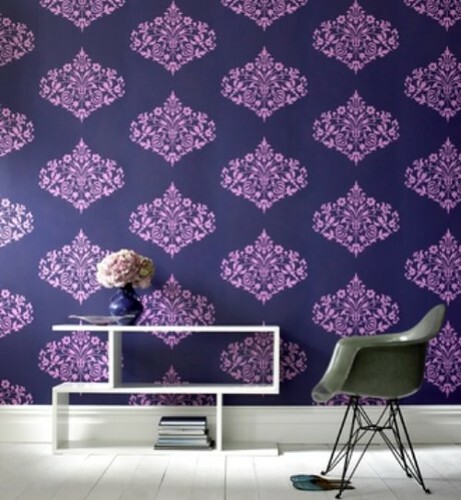 If you are really committed to blue than go for the Midnight Fountain Damask wallpaper from Graham and Brown, it is striking! 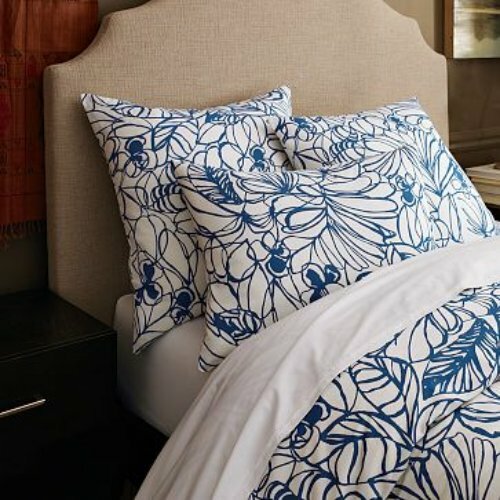 If you just want to add a touch of blue for the fall than look to change out your duvet cover. It is a quick, easy and affordable way to brighten up a room. West Elm just unveiled the Sketch Duvet in a beautiful Edgewater Blue! The Liam Sofa from Mitchell Gold is in the running as my favorite sofa, I love the lines, nailhead trim, high tapered legs and in this blue it is just smashing. The perfect shade of bright and dark! What do you think? Will you add blue to your home this year? I have not always been the biggest blue fan, but more and more I cannot get enough of it. I love how bold it is, yet still soothing. I've been in love with blue this year (which is unusual for me)- particularly navy this season. LOVE the blue chest - such a gorgeous color! I love that cabinet! Oh my. I have that exact shade of blue in Jaden's room, his crib & dresser were the start and then we added IKEA Trofast cabinets and I got BM paint to match his dresser. Love it. I love the couch! It's so crisp and glamorous!